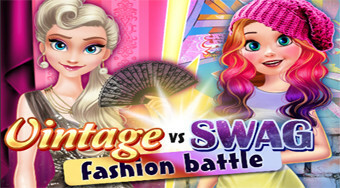 Do you like Vintage vs Swag Fashion Battle? Share it with your friends. Princess Anna and Elsa are invited to a duel in dress up and your job is to find out which girls will win?